Hiya guys. So you know that moment when you get home and grab your laptop to start a blog post, then you end up falling asleep on it instead. Yeah, cause me too. At least that was me yesterday, today is a different story as I sit here chugging my third energy drink haha. 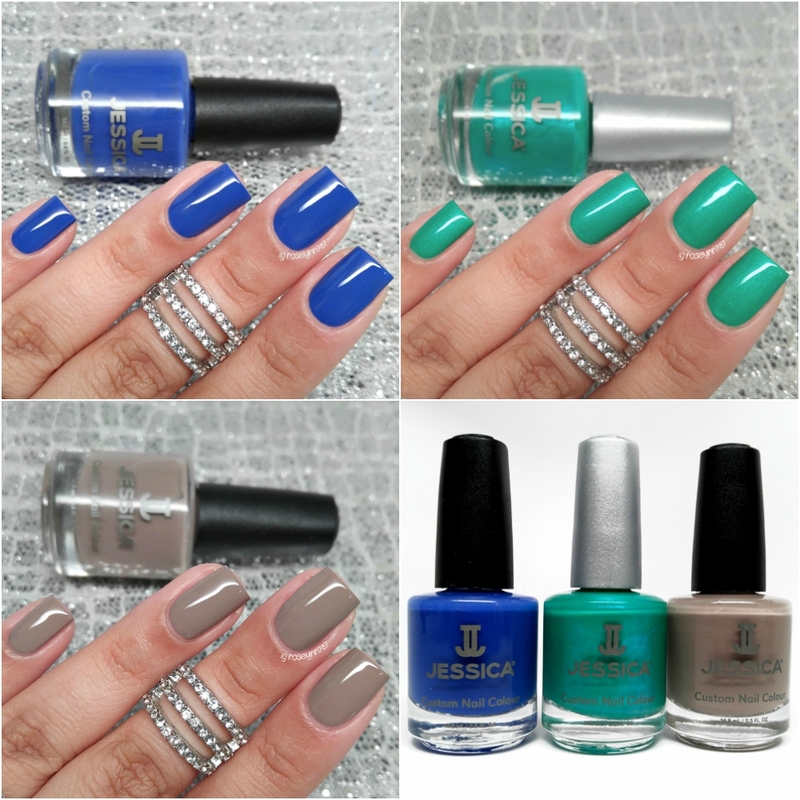 But anyway, I'm finally sharing swatches for three core shades from Jessica Cosmetics. Next week I'll have another post with a few more shades, as well as, a review on their base coat and matte top coat. Oh and nail art... lots of nail art coming as well because I am having way too much fun with these! Without further ado, let's go ahead and get started. Jessica Cosmetics is a 7-FREE, Cruelty-Free, Vegan Friendly brand out of California. Each one of these shades are available through the Jessica Cosmetics website for $9.00. 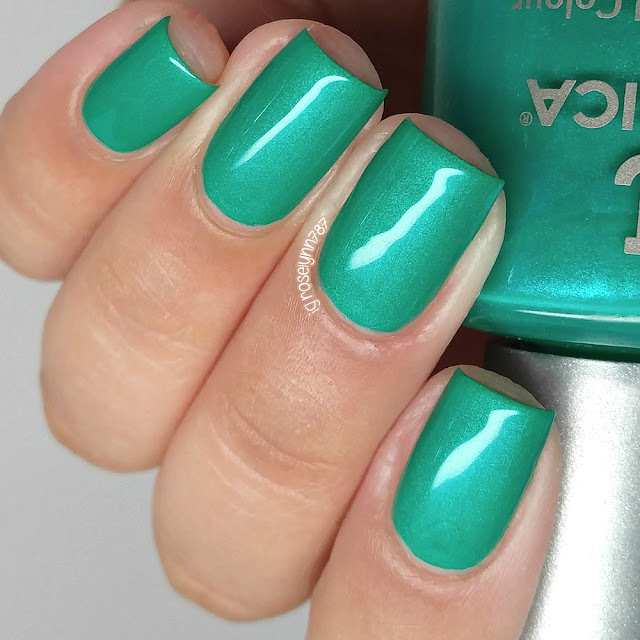 Electric Teal can be described as a teal green in a shimmer finish. This is actually the only non-creme polish that was sent to me, but I was pretty excited about the color. I don't normally go for teals leaning on green so much (blue/aqua girl all the way). The formula has really opaque and even consistency throughout the application. My photos don't do the shimmer any justice whatsoever! But... Doesn't this look like a shade that would totally stain your nails? Well it doesn't! Not even my cuticles were stained on removal. Yup, a teal green straight from the nail gods haha. Shown here in two coats and sealed with a glossy topcoat. Flutter can be described as a neutral creme. 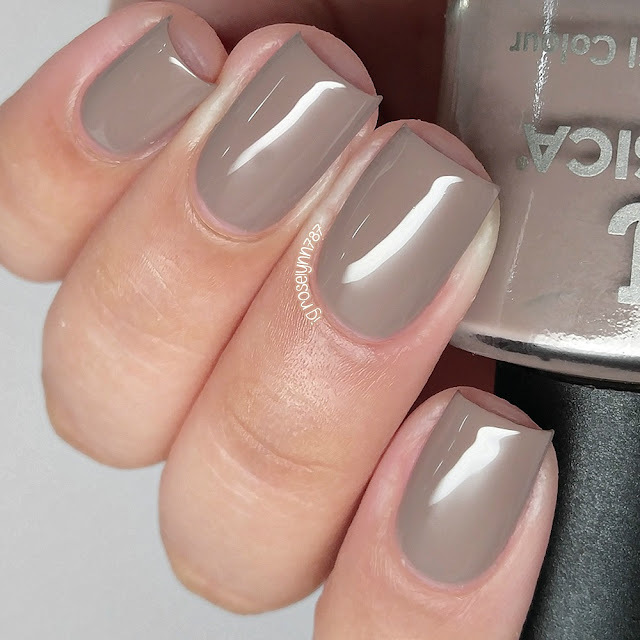 I didn't love this shade as much as I thought I was going to against my skin-tone. That said though, I do really like the tone of the shade itself. I think it would look so gorgeous on someone with fair skin. Shown here in two coats and sealed with a glossy topcoat. Longing can be described as a medium-blue creme. 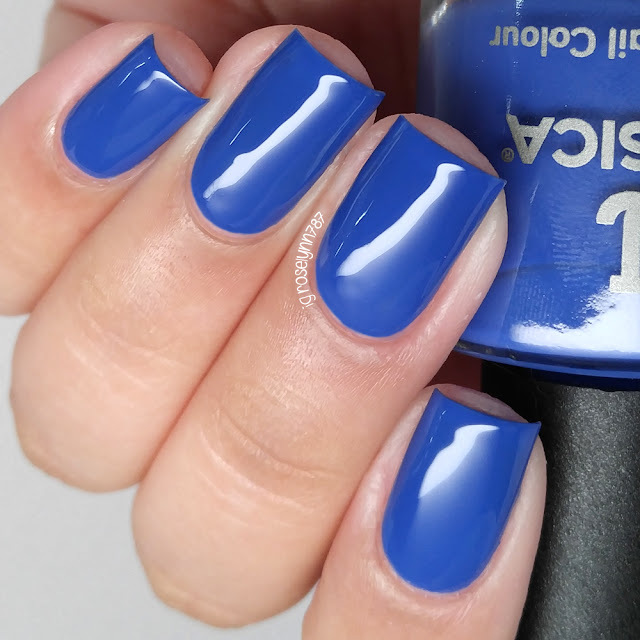 I have been longing for a blue in this exact tone for such a long time, so this was probably my first pick from the website. Best part is not only does it look good, but it applies even better. The formula has a great opaque consistency, not too thick or too thin. I also experienced absolutely no staining to my nail bed or cuticles, this was even worn without a base coat for a few days. Shown here in two coats and sealed with a glossy topcoat. Overall I'm so impressed with this brand formula when it comes to their creme polishes. As you guys may or may not realize that's actually my favorite polish finish especially for nail art. By far my favorite among the three is Longing and definitely recommend it as a must-have. I absolutely love it, so you will be seeing me use it quite a bit in the next few manis I post. I'd love to hear what you guys think! Have you tried out Jessica Cosmetics before and if so what's your favorite shade? To recap, each one of these shades are available through the Jessica Cosmetics website for $9.00.